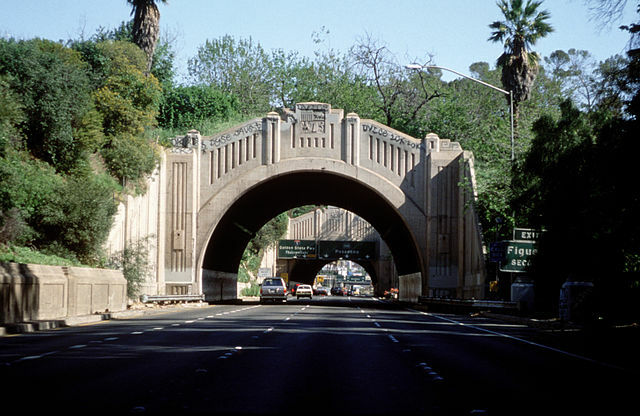 A 26-year-old man has been arrested on suspicion of felony driving under the influence after a three-car crash in the tunnels of the northbound 110 Freeway critically injured four people, including a 4-month-old infant girl and a 9-year-old child, according to City News Service. The crash occurred at approximately 6:37 p.m. on Saturday. Jared Silvestri, of Pasadena, was arrested less than an hour after the crash happened. The crash was severe enough that some people had to be extracted from the vehicles using heavy tools, according to KABC. Authorities say the crash started when Silvestri rear-ended a slowing Chrysler vehicle, carrying four passengers, on the right side of the freeway. The collision sent both cars out-of-control, and hurtling into a third vehicle. Though the occupants of third vehicle were uninjured, and Silvestri was hospitalized with only minor injuries, all four occupants of the Chyrsler—a 4-month-old baby girl, a 9-year-old girl, and two women ages 23 and 48—were seriously injured, and were transported to the L.A. County/USC Medical Center in Boyle Heights. The 4-month-old baby girl, who had been riding in the rear seat of the Chrysler when the collision occurred, was reportedly found not breathing and pulseless. The 4-month-old girl was listed in grave condition, and the other three vehicle occupants were listed in critical condition.